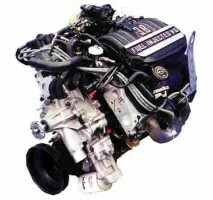 Ramy’s Garage is proud to be Houston’s leading automotive engine center for over 54 years. Our company has repowered over 10,000 engines saving our customers a tremendous amount of money and allowing them to keep driving the vehicles they love. Our commitment to quality service has earned us consistent high marks in customer satisfaction. Ramy’s Garage is dedicated to keeping you safe on the road without having to make high monthly payments on a replacement vehicle. Our experienced auto repair department will keep your vehicle running in top condition. We use the latest automotive diagnostic technology to provide you with high quality service, and quick turnaround. All this and more are part of what is standard auto care at Ramy’s Garage. We pride ourselves on the quality of our work and customer satisfaction. 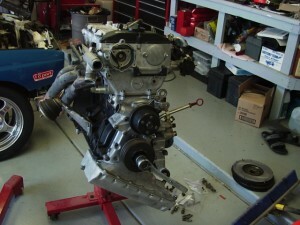 Why Engine Head Gaskets Fail ? Your car’s engine is made up of hundreds of complex components working together to ensure that your vehicle starts and runs properly. Over time, however, these components can wear out, resulting in a loss of performance and fuel economy. Here you’ll learn what a “tune-up” is, and tips to help you know when it’s time for a tune up. The nature of an engine “tune-up” has changed considerably over the years, but the basics of how a gasoline engine works has not. Clean gas and air needs to be driven to the vehicle’s cylinders where combustion initiated by a spark plug creates the power necessary to move a heavy vehicle. Clogged fuel injectors, dirty air and fuel filters, and corroded spark plugs can all decrease engine performance and contribute to decreased gas mileage and performance. That’s why we examine your vehicle’s air filter when you stop in, and why we recommend that you follow manufacturers’ recommendations for replacing such key components as fuel filters, PCV (Positive Crankcase Ventilation) valves, and spark plugs when they are no longer working at maximum efficiency. A decrease in gas mileage noticeable loss in power your engine running “rough” or stalling when at a stop. Engine “knocking” when accelerating or running-on after the ignition is turned off your “Check Engine” or “Service Engine” light remaining on after initial start. Each individual engine has a multitude of tune up needs and that’s why we offer a range of engine services, from simple checks to more complex repairs. Modern cars are more intelligent than their classic cousins of yesteryear. They all come equipped with an onboard computer that keeps an eye on key systems and warns you when things may be going wrong. 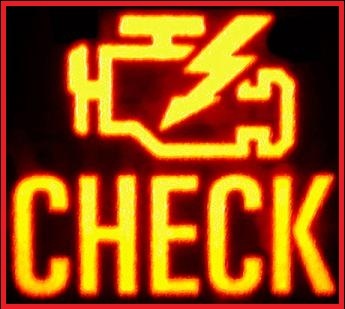 Your CHECK ENGINE light is the computer’s way of telling you that there may be a problem and your car needs service as soon as possible. If your CHECK ENGINE light if flashing or glowing, it light can mean anything from a loose gas cap to a poorly functioning oxygen sensor, or a catalytic converter that needs replacing. Some of you enjoy diagnosing and repairing these problems yourselves. Some prefer to take your car to a trusted, certified technician. For both of you, Ramy’s Garage has the answer. Below is a list of a few of the possible problems that could cause your CHECK ENGINE light to go on. Ramy’s Garage certified technicians can hook your car up to state of the art equipment that allows them to talk to that onboard computer. Reading the codes generated by the computer is just the first step in determining why your CHECK ENGINE is on, but it gives the technician the clues he needs to use his training and expertise to get to the root of the problem. Call us today to get a free estimate or fill out our online quote form and one of our specialists will promptly get back to you with an estimate. We are friendly and attentive and we do everything we can to make you feel welcome. So if you prefer to speak to one of our live representatives they are available Mon-Sat 8am- 6pm to answer any questions and concerns that you may have just press the PUSH TO TALK button and you will be connected with one of our specialists. We’re always happy to answer any questions about our shop, your car, or give advice about anything automotive related. You can call Ramy’s Garage at (281) 661-8180 or click PUSH TO TALK to schedule an appointment or stop by convenient Galleria location 3361 Fountain View, Houston,Tx 77057. Let us know how your experience was using Ramy’s Garage for your auto needs, call one of our Customer Service Reps at (281) 661-8180 or email us. Read what our customers are saying about us! CLICK HERE.